design your own UNIQUE CALENDAR! Custom Magnetic Business Card Calendar serves as a greeting card people will keep all year long. You design each month page. Design a custom backer card. 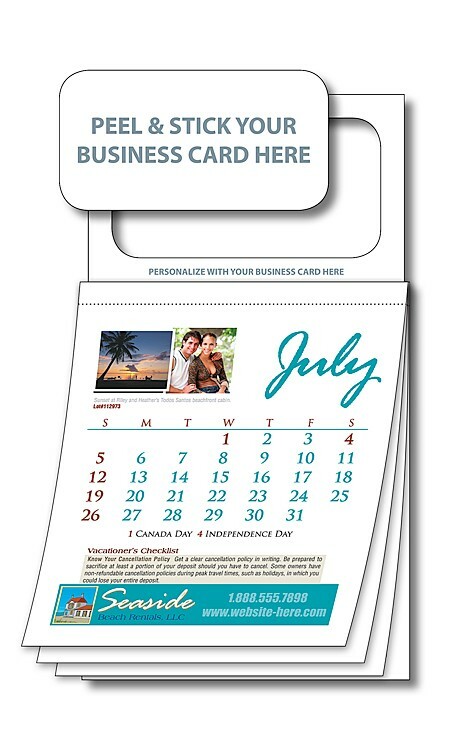 Peel off the adhesive and add your business card at the top for an even more personalized calendar. Each calendar comes with a plain white #7 envelope. Calendar mails for the one ounce rate (non-automation compatible mail) when the magnet is punched out.